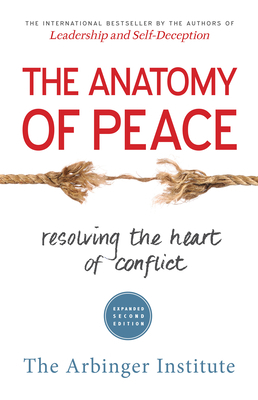 The Arbinger Institute is an international training, consulting, and coaching firm that specializes in conflict resolution and peacemaking ―whether in families, in organizations, or between communities or nations. Arbinger’s clients range from individuals who are seeking help in their lives to families who are trying to strengthen and rebuild relationships to many of the largest companies and governmental institutions in the world, where Arbinger helps to establish new levels of teamwork and cooperation. For more information about Arbinger, please visit www.arbinger.com. The Arbinger Institute is an international training and consulting firm that is recognized as a world leader in the areas of leadership, team building, conflict resolution, crisis management, culture change, and culture integration. Arbinger’s clients range from individuals who are seeking help in their lives to many of the largest companies and governmental institutions in the world.